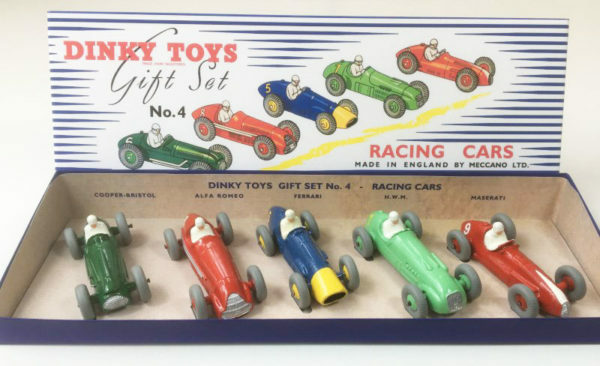 This 1950’s Dinky Toys Gift Set No. 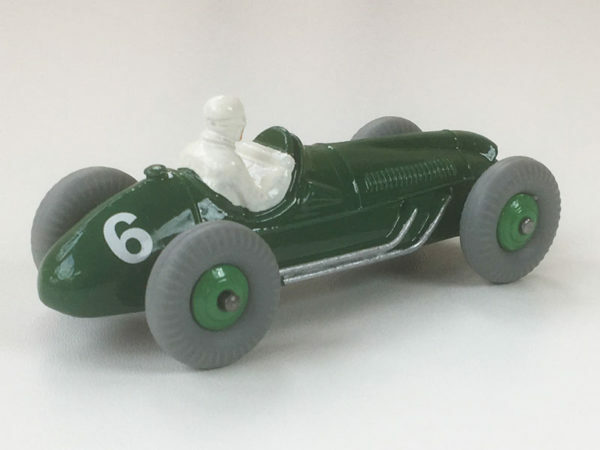 4 ‘Racing Cars’ has been professionally restored to an extremely high standard. 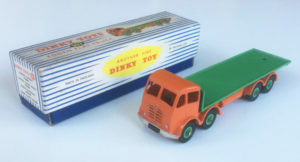 Dinky Toys Gift Set No. 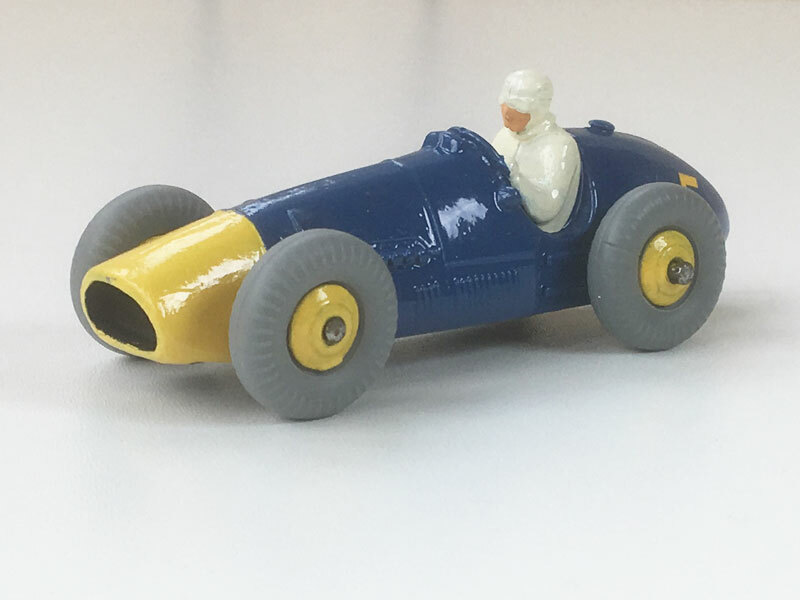 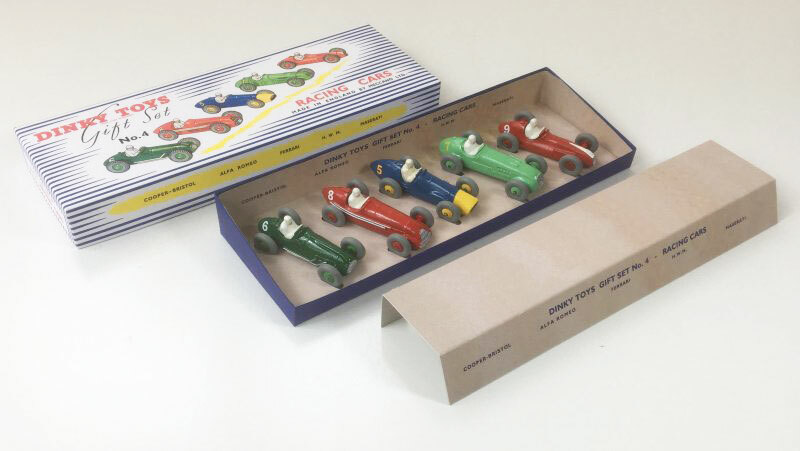 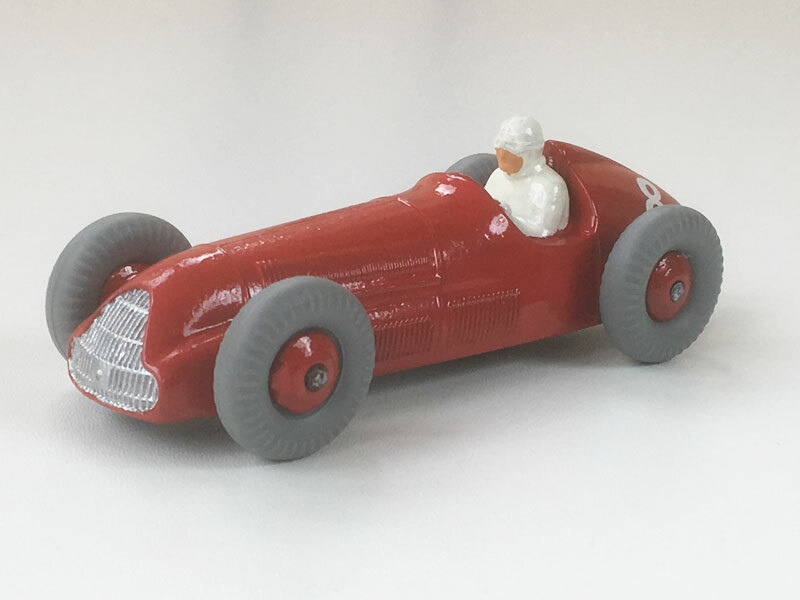 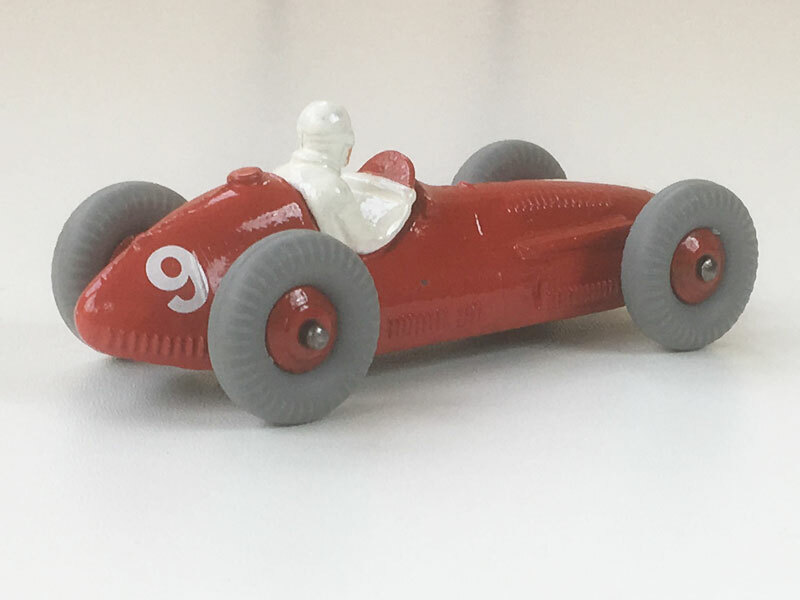 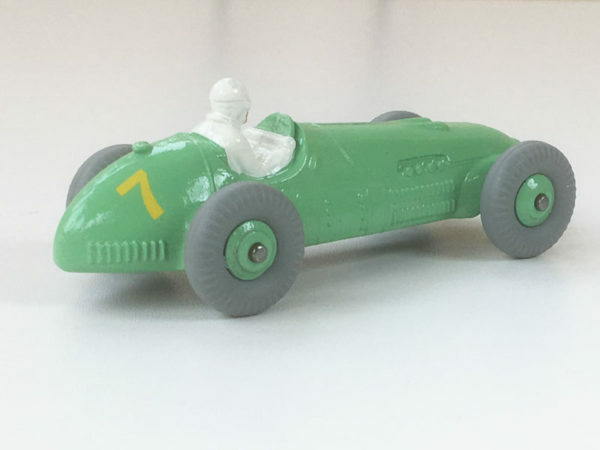 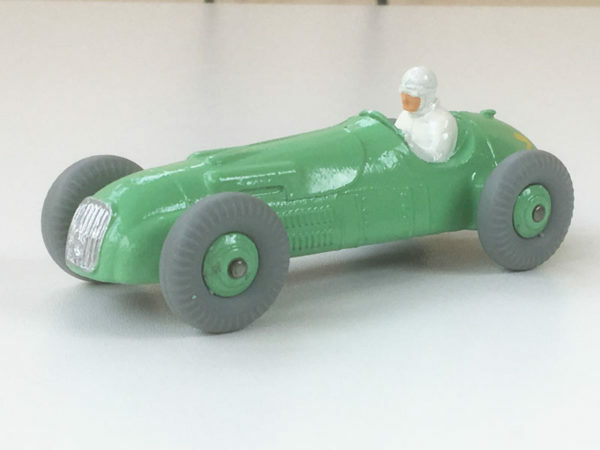 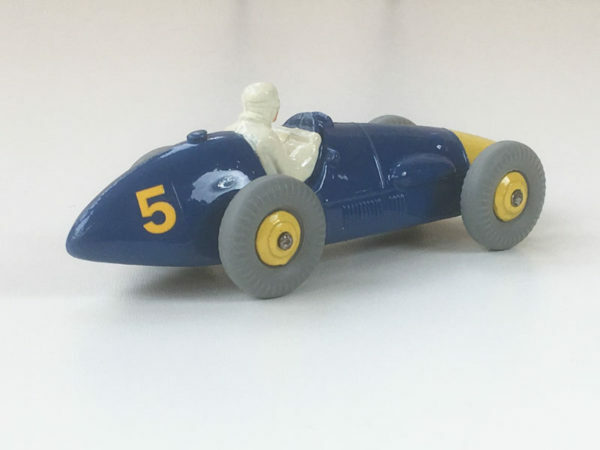 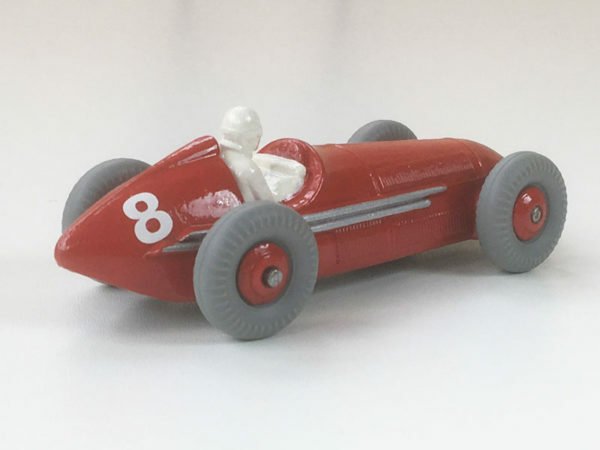 4 featuring 1950’s racing cars is one of the most sought-after and collectable Dinky Gift Sets, and an original set in anything approaching the condition of this one would probably sell for four or five times the price of this set. 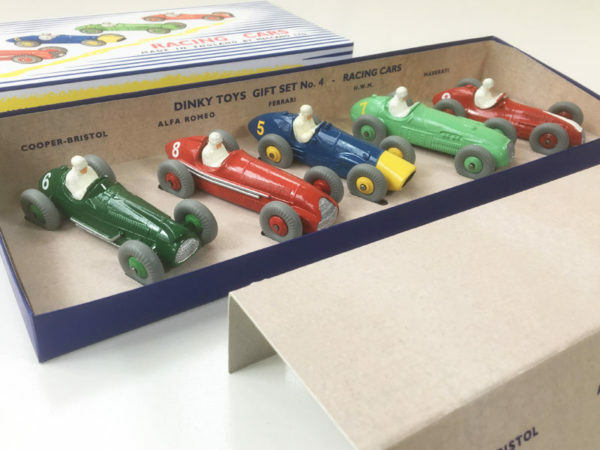 The Gift Set we have for sale, pictured on this page, comes complete with all five original Dinky racing cars (Maserati, Cooper Bristol, Ferrari, HWM and Alfa Romeo), all restored to an exceptionally high standard, in a very high-quality replica box complete with inserts. The cars have all been carefully dis-assembled, stripped of paint and primed and re-assembled, including new axles where required, new tyres and new base rivets. 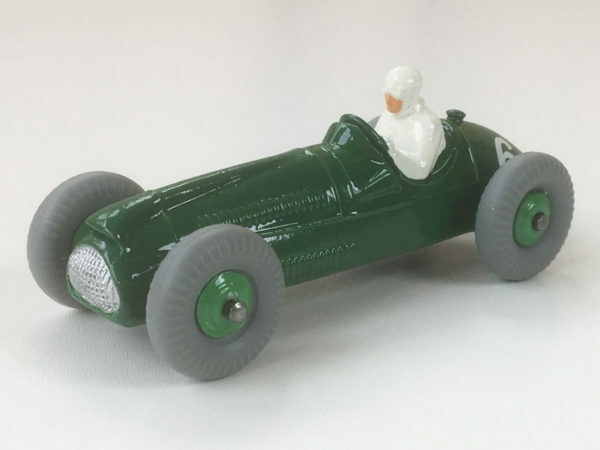 The cars were then re-sprayed with several coats of high-quality automotive paint matched as closely as possible to the original paint colours, any hand-detailing (radiators, exhausts etc.) carried out, and new transfers applied. 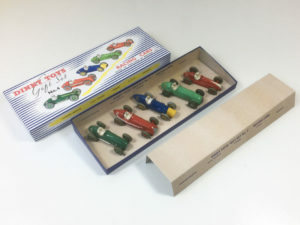 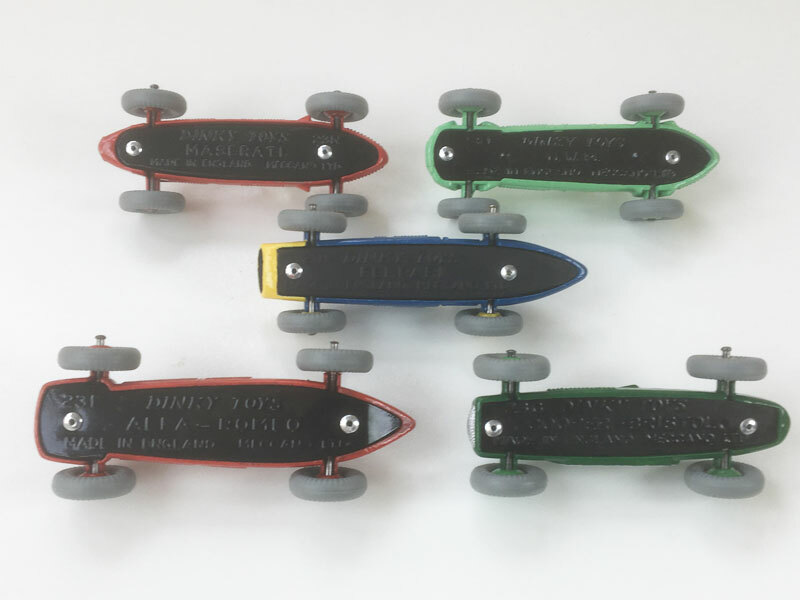 The box is a professionally manufactured, high-quality replica of an original box, complete with cardboard inserts, and is printed on the correct grade of card. 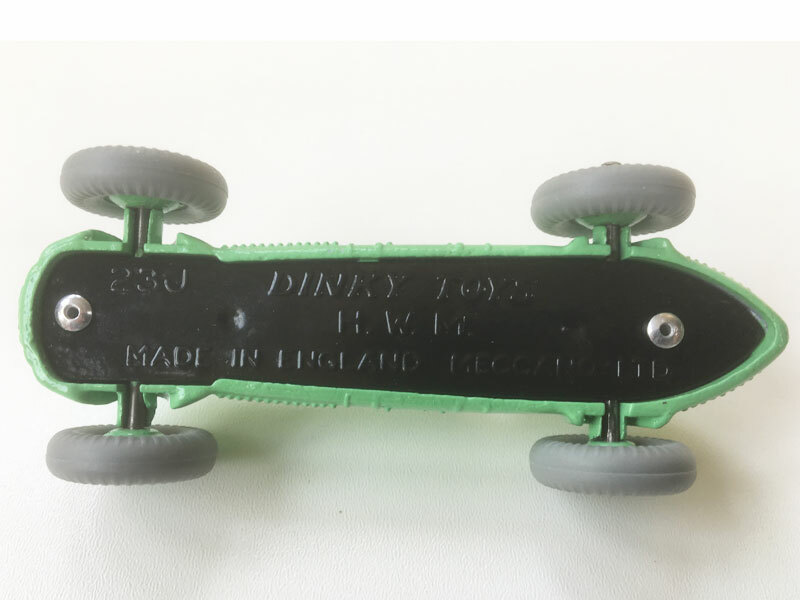 This restoration is a rare chance to obtain a classic 1950’s Dinky Toys Gift Set in ‘as new’ condition. 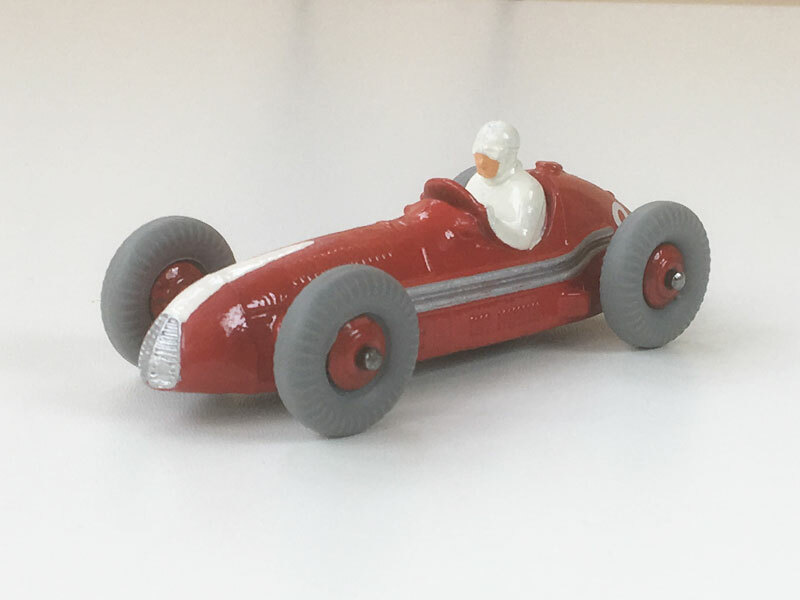 Additional photographs are available on request.